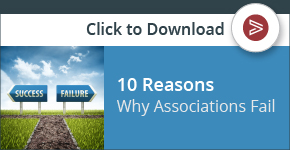 Is Your Association on the Decline? - Professional Association Management Company | Virtual Inc.
Is Your Association on the Decline? Declining membership. Unrealized goals. Meeting attendance down. Lack of mission focus: A mission statement is more than some frilly words on a piece of paper on your conference room wall. It should be an association’s “true north”—the lens through which the strategies and tactics that the organization engages in are evaluated. Too often, organization’s get in trouble by straying from their mission into activities that are ancillary to their core. The problem with this is twofold—it’s hard to succeed at activities that your organization isn’t an expert in, and the time and effort that it takes to do so diverts resources from core activities. Using “consistent with our mission” as a screening criteria for all new activity proposals. Free Riders: One of the few things I remember from my college political science classes was Mancur Olsen’s writings on the “free rider problem.” That is, people who will enjoy the benefit of an organization without participating actively within it. Put another way, you don’t have to be a member of the Sierra Club to enjoy the benefits of a cleaner environment. Many associations have the same problem—you don’t have to be a member to enjoy the benefits. The solution is to be sure that processes are in place to reserve some benefits exclusively for members. Whether it be special events, members-only access to web sites or publications that only members receive, it’s critical to have the doors closed tightly to non-members if members are to feel they’re getting their proper due from the association. The cure is simple to say, but hard to implement: embrace change, and look for opportunities to do things a different way. Tom Peters has the mantra “punish mediocre successes and reward spectacular failures.” That’s the attitude it takes to create an environment where change is the norm. And that’s how to avoid the association graveyard.